Moving to the cloud is a big trend with almost all business tools, and ERP is certainly no exception. 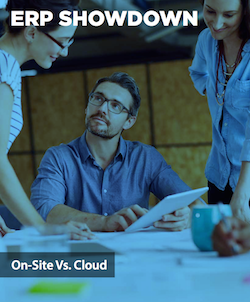 But that doesn’t mean cloud-based ERP is right for every business. On-site solutions still hold distinct advantages, and understanding the pros and cons of each options is critical to seeing maximum ROI. To learn more, read our ERP Showdown: On-Site Vs. Cloud.